"We believe in delicious, calorie-conscious, wholesome cuisine that's affordable, accessible, and above all - SATISFYING." We admire that their from-scratch, plant-based meals are made from organic non-GMO ingredients without compromising taste or price. I have been on their mailing list for a while now and see the drool-inducing menu items available every single week; it is amazing just how diverse the menus are. We just had to get to know more about them so we pulled up a few chairs and had a chat to learn what exactly BMK was all about. Be warned - long post ahead. We just loved our interview and time with them a little bit too much. Over a warm plate of their BBQ Taco with Grilled Vegetables, Corn on the Cob, and Salsa Verde, we discovered that like most new business owners we have met these past few years, Rose's and Adam's lives were completely different prior to the culinary business. 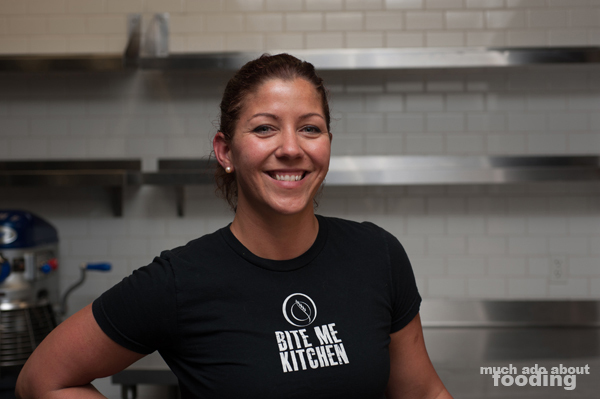 With degrees in Sociology, Economics, and Business, Rose's past path took her away from the intent of culinary school and landed her into Sales & Graphic Design for years while cooking on her own at home and running a food blog titled "Bite Me Kitchen" where she stored her recipes. The blog began in 2009 and was a product of both Rose's and Adam's work where she would write, he would edit, and both would develop recipes. The spark for turning it into something more came from when readers asked how to purchase the featured food. Though Adam bartended for 16 years, he had earned an Information Technology Science degree and was working in that industry prior to BMK. They joked that between their work experiences, they have been able to handle just about every part there is to their business now (true!). 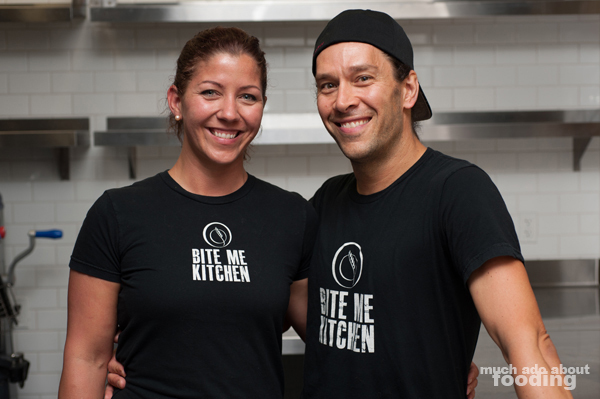 Their past professions may have technically been unrelated to where BMK is now but still established relevant skills such as Adam's current work building all of their sauces, flavor infusions, and dressings based on his mixology background. "We always said we'd do something like this 'one day' but the time was never right. Then one day he got a phone call..."
The day that Adam learned that his company was laying off 75% of the staff was the day the couple pulled the trigger on their culinary whim. Without any investment or nest egg, the Zalewskis jumped into their business and hit the ground, stumbling but persistently moving forward. They knew that potential investors would call their plan crazy, especially with the amount of money that needed to go into making everything from scratch but they believe that their customers would taste the difference and embrace it. Adam: "Your body is a wonderful, crazy machine and it should be able to process everything. Most people are so used to putting in what satisfies the brain though and don't think about nutrition. They'll take multivitamins, pills, this and that. Companies take all these nutrients out of the food to eat just a little part and then sell a separate product to put what's missing back in. We understand that donuts are good. Donuts are tasty! Do what works for your body but make sure your body actually works." The health portion of the company stemmed from Rose's own experience with health issues and discomfort. The two were accustomed to cooking gourmet foods but wanted to change their lives somehow. Signing up for a triathlon seemed to be the (logical?) answer but Rose had always been sensitive to multiple foods such as dairy, fried foods, alcohol, heavy fats, and dark chocolate. During the training period, she switched her diet to pull out meat, dairy, and fat which lead to faster physical recovery times despite 100-mile bike rides. Her health started improving so they delved deeper into this lifestyle to see what could be done. Being vegetarian did not necessarily equate to being healthy but keeping track of nutritional value in a plant-based diet worked. Unsurprisingly, many of their clients are athletes as well including Olympic medalists because of this shared connection (though they are not a food service exclusive to athletes). For everyone, BMK publishes their meals' nutritional information online to be visible at all stages. Our next kitchen taste was their Slider (on a housemade bun with avocado and sprouts) accompanied by their Vegan Mac N Cheese, using butternut squash in lieu of melted cheese. The amount is deceivingly small but assuredly filling. BMK keeps their entrees under 500 calories which presents a challenge with more savory items like biscuits and gravy but also ensures that they are packing as much nutritional value in their meals as possible while maintaining balanced portion sizes. Their consulting nutritionist is a software program that pulls from the USDA database on nutritional content by weight of different food items; making everything from scratch allows the breakdown of the meal to be more easily determined. The plate we consumed had measurable sub-recipes of the bun, patty, and mac n cheese. Not only does weighing all of the portions and pieces during cooking give an accurate count for nutritional reporting but it also guarantees proper portioning. How many meals do you make a week? "Sundays, we cook two breakfasts, four entrees, dessert, and snacks. On Tuesdays, we do six entrees, two breakfasts, and dessert. Per week, that comes out to 500-600 meals from scratch. 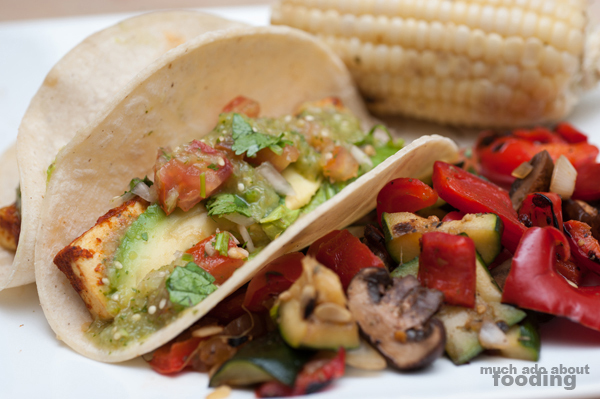 We create 2-5 recipes each week too with new pictures and nutritional information. Everything is custom, and the menu changes every week, moving between different techniques and cultures. By now, we've done so many recipes that we have an idea of how the ingredients will all play together. 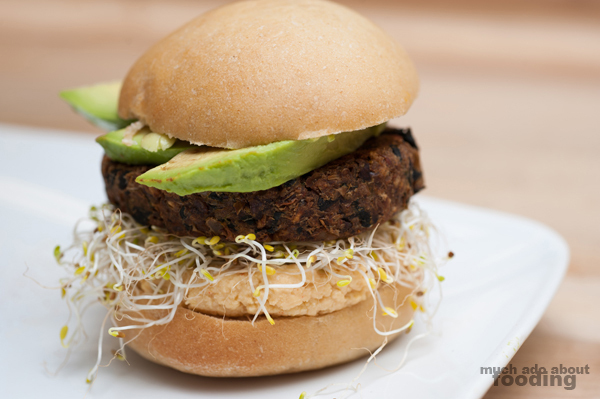 We look at traditional recipes and break them down into plant-based ones. It gets complicated when we do gluten-free." Regular clientele that order every week give input into the menu as well by requesting items and clamoring for their favorites. Examples of dishes include Tamales, Hawaiian Pizza with Pineapple and thinly shaved Seitan, and Japanese Bento Box Lunch. It is certainly a challenge but part of the fun. Whereas many plant-based restaurants rely on frying their foods or using copious amounts of Veganaise, BMK takes those crutches away and innovates. 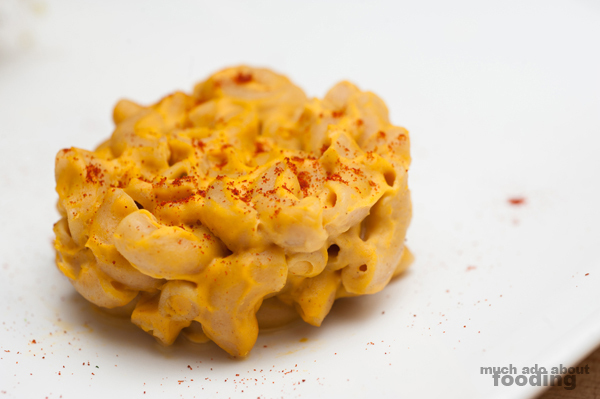 I was surprised at how creamy and rich the mac n cheese was considering that the "cheese" was actually pureed squash! Their meals hit a reasonable price point for the consumer but nearly an astounding one for the back-end. We could not believe that they were able to focus on their quality so strongly but still only charge $10-$11 per dish. 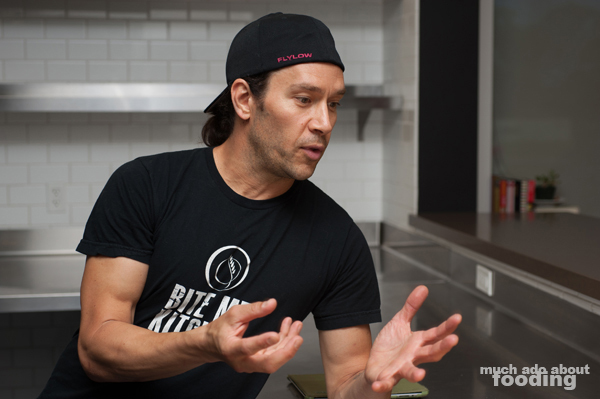 BMK plans on keeping the pricing that way until it is not sustainable to the business however because they want to make healthy, balanced meals accessible to all...or as Rose so eloquently put it, "THE PEOPLE! THE PEOPLE!" This is also the base for why subscriptions and minimums are not part of the BMK model. They understand that requiring certain amounts to be purchased results in waste of both food and money when spontaneous meals out happen. A la carte keeps customers on track without weighing them down to an obligatory meal. "We don't want to be a favorite restaurant - you'd still only visit those once a week. This allows people to be at home or the office and eat healthy food for five, seven, eight, even tten meals. We want to (and do) have strong relationships with the people, especially the ones who come pick up here. We talk about what races they're doing, how their kids are, and all. They show up excited and that's a neat way of engaging with people you don't always get as a restaurant owner." In conjunction with the community BMK looks to build with its clientele, it also supports businesses with that same concept by sourcing ingredients from quality vendors and ones such as Frontier Co-Op that sustain a shared, collaborative environment as well. "To change the world, it will not take 50,000 angry vegans but 50 million people willing to make a difference." 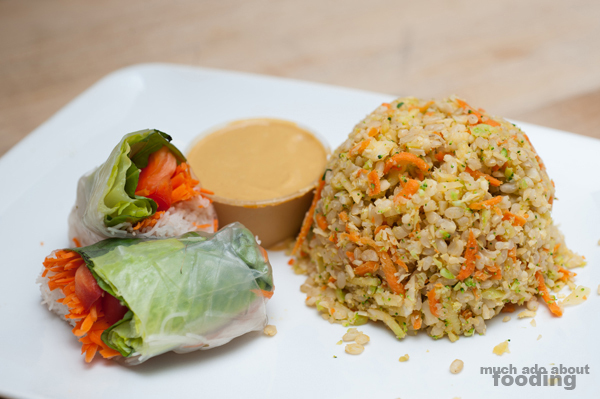 Next up: Coconut Un-Fried Rice (brown rice with shredded coconut, finely minced cauliflower, carrot, and coconut oil with a mango peanut sauce), my favorite of the whole tasting, and Spring Roll. This is one of the dishes that also looks like it will not be filling but surprises you with its culinary girth. It also demonstrates an interesting point that Adam pointed out - the dressings/sauces matter. Because BMK makes all parts from scratch and are focused on nutritional and balanced meals, even the dressings/sauces are good for you and in a lot of cases, a major part of the proteins. The Sriracha aioli for their Thai burger is made of several different tofus, channeling all of the proteins into tasty, liquid form. So while it may challenge your idea of creamy sauces being fatty and bad for you, in BMK's case, consume the whole thing! It comes down to education essentially. BMK is one of the establishments we admire because they don't just want to churn out a product; they actually want to explain and educate on why that product is important. With so many big box brands out there rebranding themselves to promote a look of "natural," "organic," and "fresh," it can be hard to stand out. The company began on just word of mouth by friends and family but has now remarkably grown to incorporate more customers outside of that realm since their start in 2012. There are even customers who will buy extra meals to give to their coworkers because they enjoy BMK so much. "When we started the business, we had signed up beforehand for Ironman AZ and had totally different jobs in corporate life but you're on your feet 12-16 hours a day when starting a business. If we could start a business and do an Ironman in the same year, everything after that is easy." As BMK was ramping up, they faced some challenges. Most of the tasks were left to the two who conducted quality control by making sure they did the duties themselves. But believing that "If you can't walk away from the building, you don't really run a business; you're just working for yourself." helped push Rose and Adam into managing their expansion and getting the right team in place. Making ingredients from scratch is time-consuming and requires plenty of research and development. They make their own faux meats from scratch including seitan, a long, drawn-out process that ends up yielding a version of the product superior to the crumbly, gummy kinds in restaurants. When trying to make their own tofu, the high costs were nearly insurmountable for their dishes' price point so they resolved to purchasing it. Puff pastry from scratch took many arduous hours to make. In addition to development woes, they also kept up with their athleticism, often coming back to the kitchen to cook right after a race. Rose confessed even returning to The Hood after a half Ironman with their compression tights on and endorphins pumping...until they realized how tired they were. It was part of the struggle of building up a business from scratch but now, they have a skilled sous chef and other team members who make up the tight-knit BMK family. The Zalewskis take pride in finding others who understand their stances and possess the same values because it just makes the product so much better. "We're all real humans so let's make real food!" What exactly are the plans for expansion? "If the world knows what's good for it, we're going to take over the world (laughter). We've been doing this 2.5 years now and managed steady growth. We're going to keep managing it and not let it run away from itself - don't want to do a franchise and then the quality drops. A lot of people do that and this beautiful little thing you had of your own becomes a monster. We're eventually going to outgrow this place but we'll stay here as long as possible. 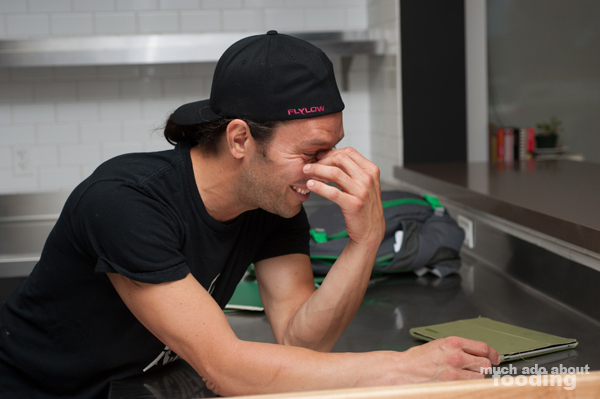 We'll always want to keep the meal service because it's what makes sense, not a restaurant. 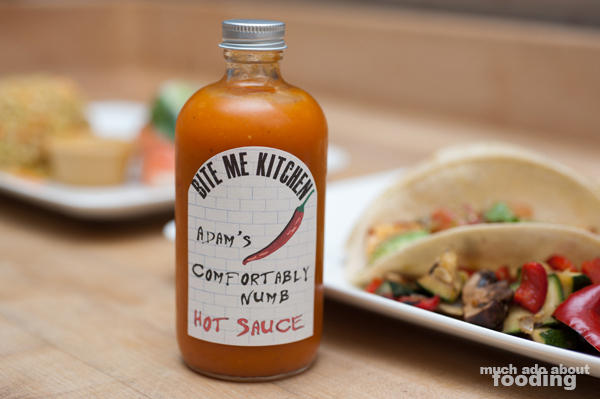 I think we'll probably add a market to the front for things like our hot sauce, salsa verde, and other bottles." It wasn't hard to see why BMK has been doing so well given their short amount of time being around. Rose and Adam work hard for what they believe in, and everyone around them feels it. You can even see from all of the pictures that we rarely caught them in a moment when they weren't smiling or laughing - that's the sign of people doing what they love (and hopefully not a sign of them being deliriously tired...)! We're excited to see what more BMK expands into and hope that they hold onto the most rewarding parts of their work - being able to be free to do what they love but still work hard and also seeing people's health prosper. Rose: "I really think that eating well can change your life. For me, I had a lot of stomach issues, and I didn't realize how taxing it was." Adam: "Every time someone goes from a standard American diet to realizing how many negative effects it has on their lives, every time one little person wakes up to all of that and changes his own way of living and path, that's what we need." Our heartfelt thanks go out to Rose and Adam as well as their entire crew for their time with us and for providing Orange County with something that it needs: thoughtful, great-tasting food with well-being in mind. If this has been inspiring to you too, take a look at what BMK has to offer for you. There are several customer favorites that could be great ones to start off with such as their Pad Thai, seasonal pot pies, stews, BBQ dishes, and burgers. They do doorstep delivery with a cooler/ice pack deposit of $25 (one-time, refundable) for exchange purposes and conduct two drops a week on Sunday and Tuesday evenings OR you can pick the closest delivery location near you to grab your food in-person. For their FAQ, visit their website page at http://www.bitemekitchen.com/how-it-works/.